Detox Waters and Cleanses for Weight Loss: Can They Really ‘Flush out Fat’ or Detoxify Your Body? Do a quick online search for “detox water” and you’ll come up with thousands of videos, recipes and even water bottles that claim to flush fat from your body and rid your body of toxins. So can this be? Is there really a special “detox water” that can do this? Many of these detox waters include natural, mild diuretics like cucumbers or lemon, which may make you feel like you are flushing out fat but the reality is you are only losing a bit of excess water weight that isn’t permanent. The truth is no water (no matter what kind of magical fruit peel it has in it) can flush out fat or detoxify your system. That is what your kidneys, liver, skin and even your lungs do- they are constantly working to ‘detoxify’ your body. Cleanses can’t do this either. Now don’t get me wrong – I’m a huge proponent of drinking plenty of water and recognize that staying hydrated offers many health benefits such as improved energy, brain function and it even helps your bowels run smoothly. And, in fact, there is some evidence that it could aid in weight loss – not by flushing out fat but by helping you eat less. One significant study found that subjects who drank 2 cups of water before a meal ate less calories than those who didn’t. We also know that eating water rich, high volume foods like broth based soups, salads, fruits and even oatmeal can help with the fullness factor and may also assist you in eating less calories overall. Now if adding lemon or cucumber slices to your water helps you enjoy it, drink more and even temporarily release a little excess bloat, go for it! Just don’t expect to magically flush out fat or detoxify your body because of some special recipe or water bottle. The bottom line? The best way to stay healthy is to eat and sleep well, exercise regularly, and of course, drink enough water (don’t forget that you also get hydration from water rich foods, so you don’t necessarily have to chug an excess amount of water to do this either). Check out the full Guardian article and let me know what you think in the comments below! hi jessica, i am apple shaped body, what should i eat or not to. please give the instuctions or a diet plan. Addicted to these workouts. I was so bored with my old dvd’s and Jessica keeps me moving. Lots of side to side motion. Jessica, I’m wondering what are your favorite cross trainer shoes for lateral movements? Thanks. I have started going to work early and doing your walk and talks. They really help to center me for the day. Do you have any more walk and talks in the works? I love your dance mix video…. Do you have more? I m new to ur web.i have started with Fat burning 10,10,10 formula. Jessica can u guide me what else excise i can add to this program to reduce weight quickly. Hi Jessica! Thank you for posting this. I see a lot of health and fitness “gurus” swear by juice cleanses and all that stuff. Out of curiosity, I did a three-day juice cleanse to see what it would bring to me. No doubt I felt lighter after those three days – you just have to since you don’t eat anything at all during those three days. But I didn’t feel much anything else. Not healthier, or stronger, or better. To be fair, I didn’t feel bad either. Just a neutral kind of light feeling, which could be a good or bad thing. Either way, I’m not taking that route again. To be honest, the best I’ve felt was during and after finishing two months of exercising six days a week and upping my protein intake. I’ve felt stronger, healthier, and sexier, and you can be sure I’m sticking to that. No cleanses or anything like that for me from now on. I’ve just started your workouts and I’m addicted!! I just cane off a juice “cleanse” and it was the worst thing I ever put my body through! I am new to your site and “Thank you” for enlightening me about water….I have been looking for help…I have joined a low impact step class…and I am “contract dancing”…Enjoy your day:)) Sincerely, Diane from Richmond Va. Thank you for this! As a very long fan and subscriber to your workouts, I have really enjoyed your no-fuss approach to both fitness and health. I showed this article to my 17 year old daughter who has been hoarding all of the lemons in the house for her water. There is so much false advertising about quick fixes that I direct everyone I can to your wonderful site. Thank you much for making this available to us! My husband and I have been doing your workouts on xbox fitness and we think you are the BEST fitness instructor. We would both like to see more of your programs. Thank you for being so good at what you do and totally motivating us to keep going. Thanku mam ….. u are my fitness guru (teacher) an angel of my life 😆….ur workouts are awesome . YES! Thank you Jessica for being a voice of reason. The body is an amazing instrument and is designed to deal with toxins. Thanks for posting this. 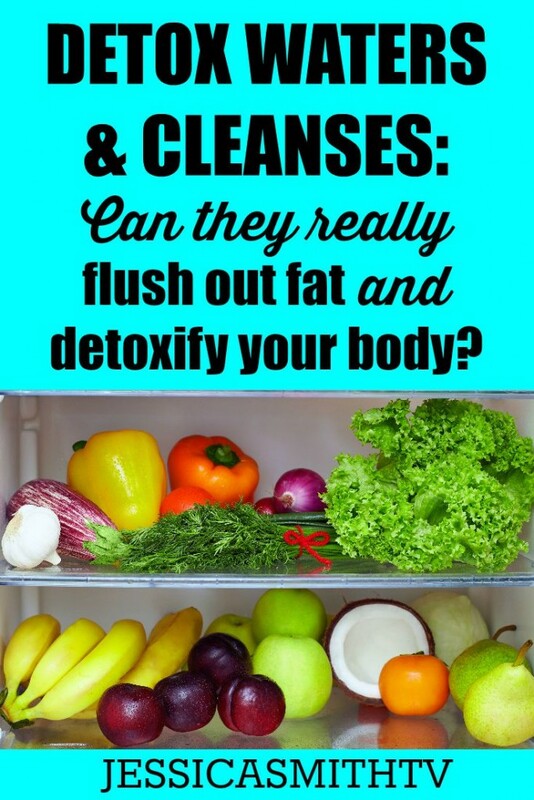 I have friends that swear by different cleanses and I always thought the idea was bogus. If only it were that easy. Thank You Jessica for this information. You are the best. this is why I truly love you, Jessica. You are honest and so helpful. Thanks. Thank you so much for helping to sort out truth from fiction. It can be difficult sometimes to know what really works when people write and say things that seem to make sense but it isn’t scientifically based in fact. I am so glad I can trust what you write and video blog about!